Looking for a prom dress with a little extra arm coverage? 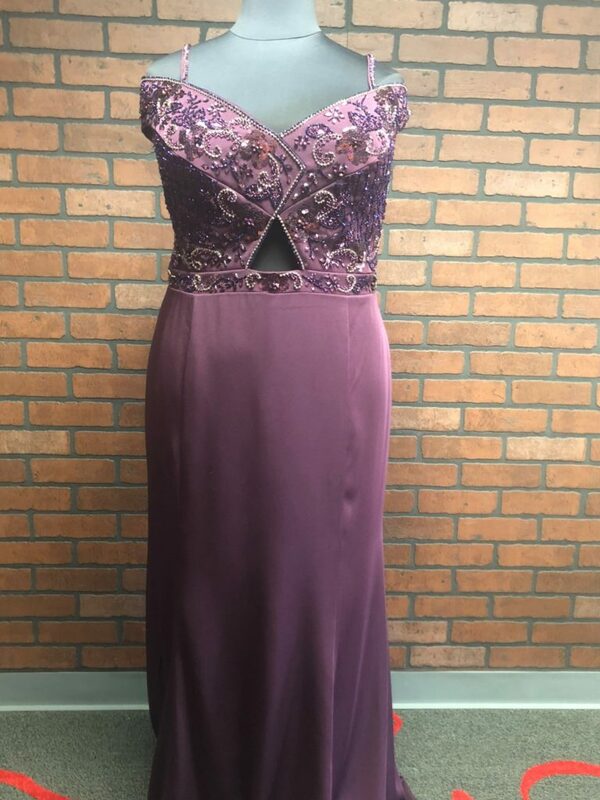 Come shop at Strut Bridal Salon in Tempe, AZ for the hottest 2019 plus size prom dress styles, including plus size prom dresses with sleeves. Let our expert stylists help you find a dress with all the support you’re looking for this prom season. Set the trend this next prom season with a jaw-dropping two-piece prom dress. The sparkle, the lace, the sleeves. This dress has it all! The crop top features a stunning scalloped off-the-shoulder neckline. Lace and tulle create the sophisticated long sleeves. The fitted skirt features a horizontal striped sequin pattern for the ultimate sparkle. Like our mannequin, feel free to wear the skirt a little higher if you’re not into showing off some skin. We can’t get over the intricately beaded lace on this bodice. For those of you who like giving the cold shoulder, this next piece is for you! This fashion forward gown showcases an off-the-shoulder neckline with a beaded strap for that extra support you’re looking for. The bodice is beaded and also features a small cutout in the center for the girl looking to show off a little more skin in a sophisticated way. Check out that sparkle!! It is all hand-beaded, ladies. 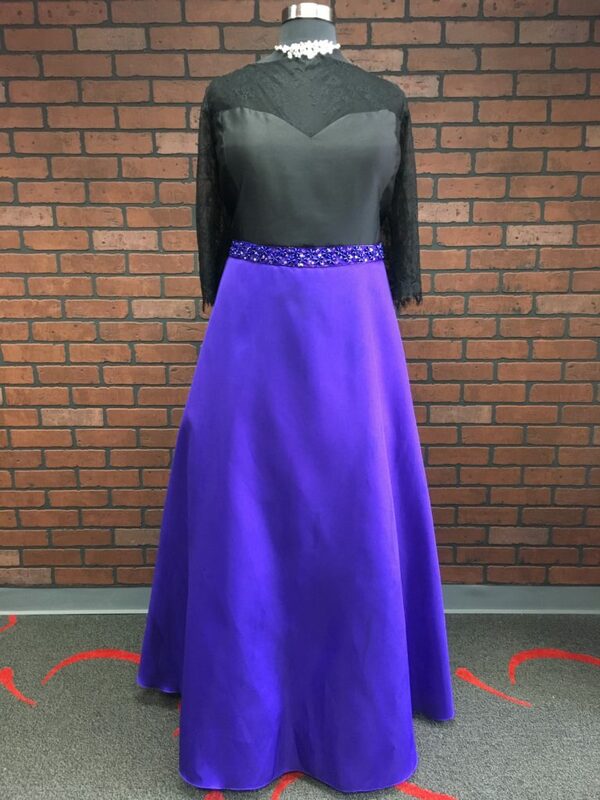 Last, but certainly not least, we have this gorgeous plus size prom dress with sleeves. The bodice features a sweetheart neckline topped with lace illusion long sleeves. Color blocking is definitely in and this dress pulls it off in the best of ways. The black bodice gives way to a bold purple floor-length a-line skirt. A beaded belt accentuates the waistline. 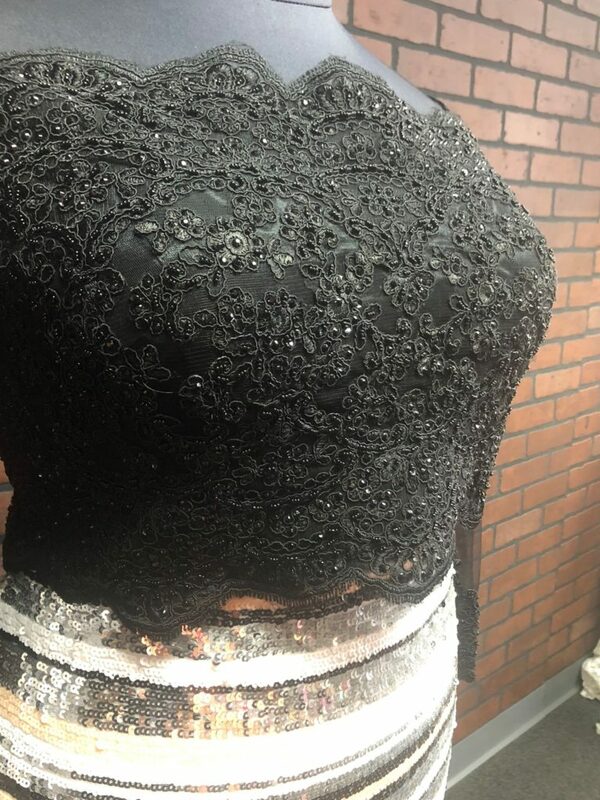 If you’re looking for the hottest prom trends in 2019, look no further than Strut Bridal Salon in Tempe, AZ. 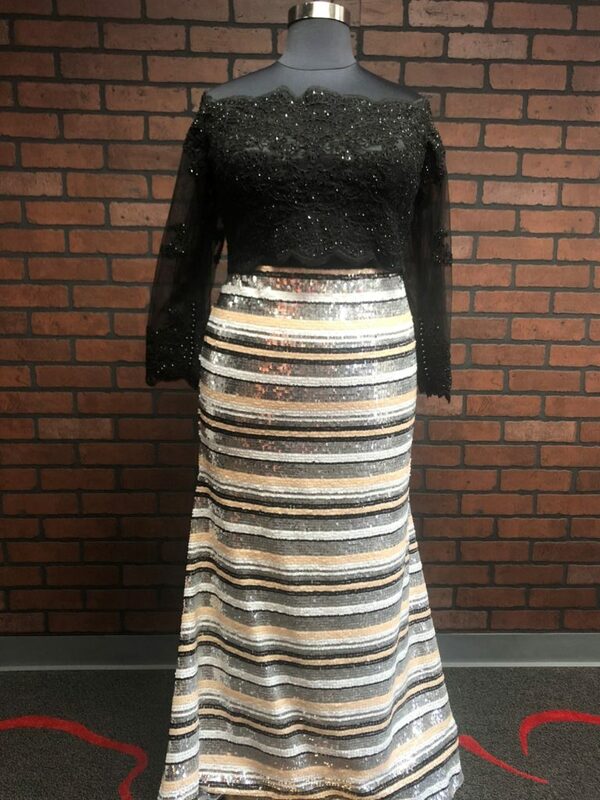 Come shop our newest arrivals of plus size prom dresses with sleeves. Give us a call or schedule your appointment online today!